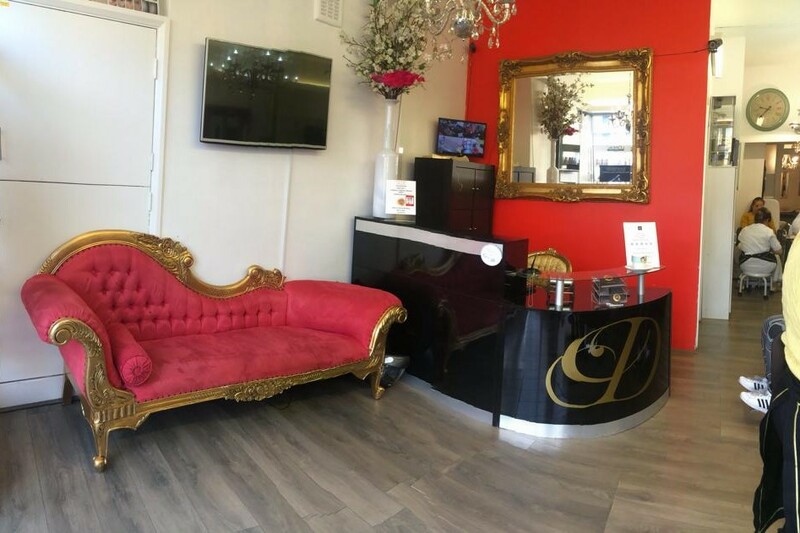 Our full service Beauty, Hair salon & Nails bar is located just a two minute walk from Queen's Park station in North West London. Great professionals! Sandra Zoccante is our senior hair stylist and has over 30 yearsâ€™ experience in the industry. Starting out in Sao Paulo in 1984, Sandra soon gained recognition for her skill and creativity and began working with Lâ€™Oreal, touring Brazil as part of hair styling exhibitions. She moved to the UK in 2005 and specialises in men and womenâ€™s hair, including all types of hair and any style. She is also highly experienced with childrenâ€™s hair and afro hair. Suellen has 16 years of beauty experience and specialises in all areas of beauty therapy. She provides permanent makeup, waxing, chemical peeling, eyelash extensions, facial and body treatments including stretchmarks removal, Microblade, anti-aging treatments, Acne Skin Disorder and Rosecea Disorder, Dermal Fillers, B-tox, IPL Laser Treatments. She is also a fully certified massage therapist and provides all kinds of massage treatment including sports and deep tissue. Sullen also provides spray tanning services at the salon! Sandra is amazing! Courteous and professional. Full of knowledge and complimentary. I had a wonderful experience. Hair and nails done very beautiful and great service. Thx! !